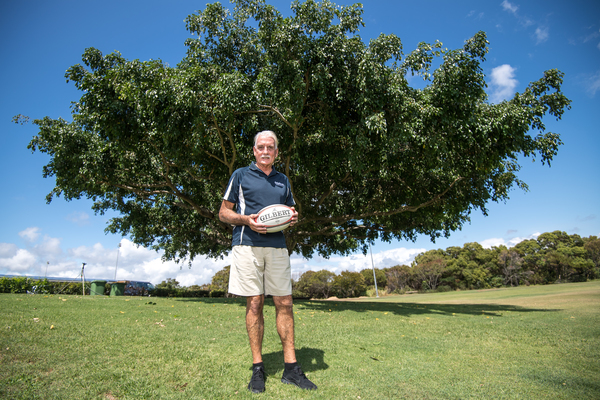 If one was to look for a great example of what a community can achieve when it stands together you need to look no further than the Noosa Dolphins Rugby Union Club. Situated at 1 Bicentennial Drive, the club formed in 1984 has achieved a reputation that is due, not only to its achievements on the playing field, but, to the character and loyalty of its people. 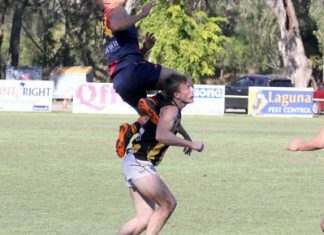 Its players, administrators, old boys and supporters are people of which other clubs would be envious. One such person would have to be Life Member and former President Max Gunthorpe. For Max his record of service dedication and loyalty has been truly outstanding. In Greenmount he became mates with the Cairns brothers, Russell and John who hailed from the Noosa district and a friendship that still exists today was started. As a result of this during his free weekends Max began to visit Noosa and he “loved the place.” Then in 1971 with the Vietnam War raging, Max was conscripted into the army. While in the army he got his first taste of rugby union and immediately fell in love with the game. However after discharge he went back to his job as a chippie and once again played rugby league, the game he played during his school days. Then in 1973 along with two mates he made the big decision to travel through Europe (in a van) and Canada. “We were on the road for four years and it was a great experience.” During their sojourn in Toronto Canada, where the boys worked as chippies, they continued to play rugby which they had played during their time in Europe. Then in the early 80s in the local newspaper there was an ad inviting people interested in the formation of a Rugby club, to attend a meeting which was to be held in a private residence. This was well attended and the next meeting was held in the bar of the Noosa Surf Club; a meeting which was to become, through the years part of the folk law of this great club. “It was quite a meeting,” Max said. “Apart from John and I there was also Dave Nicholson, Digger Munro, David Wythes, Brendan Ryan and a few others. The future was looking good with men such as David Wythers, Dr Charles Elliot, (first President), David Nicholson and John Ford, (just to mention a few), the whole thing was gaining momentum. Also in 85 Max was appointed Vice President; his first of many years on the committee. Then in 1987 Dolphins played their first grand finale; and it was against Maroochydore. “We played at Pirates Park but unfortunately we lost; but at least we hosted what was to become the party of the year. 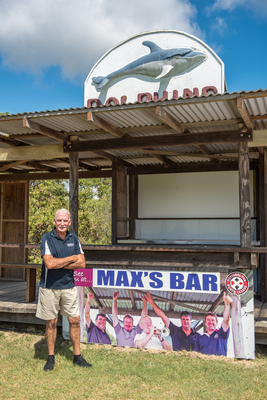 Away from the sporting life Max continued as a chippie and except for a short time, when he returned to Brisbane to find work during the recession (“we had to have”) he started his own business. Also during that time Max and Virginia became the proud parents of two children Natalie and Ryan, both born at the Cooroy Hospital. Down through the years Max contributed to the community with building projects thus providing work for many local subbies. As a player the year to remember was 1988: playing at Pirate Park against Maroochydore they won their first A grade Grand Final, plus the Reserve Grade, of which Max was a member. Head coach for that season was Ron Rae and for Max his playing career would extend over a period of six years. With his years as a player, coach, committee member (three as Vice President Five as President) and now senior fund raiser, Max has been part of and witness to many great achievements and changes. Other achievments have included building and opening a new clubhouse (1990-91), being elected President (1999-2004), the first ever Dolphins Long Lunch in 2004 ( which became an annual affair), hosting the British Lions visit to Noosa for training camps (2013) and the advancement and consolidation of junior boys and ladies teams. “But one thing in which I take great pride is our Grand Final wins; since 1988 16 premierships in 30 years. To achieve great things it depends on people; people like long serving vice-president Trevor Luff, designer of our present and future clubhouse Maurice Hurst, junior president Rob Frey, manager Kerin Kearny, great coaches, administrators and support groups – just too many to name. 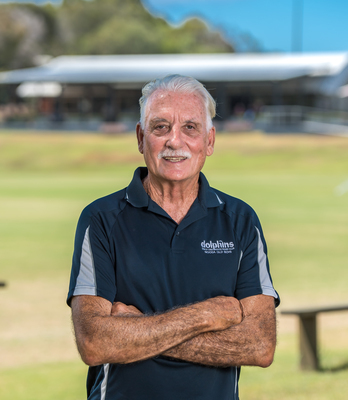 Speaking on behalf of the club, President Donald McKill said, “Max Gunthorpe Life Member and Past President, has been a stalwart for many, many years, as a player, coach and committee man. He is now involved as a major fund raiser with the Droopy Dolphins (the Old Boys); he has been an outstanding and long serving member. We wish him well.” Maxie Gunthorpe, proudly- one of Our People.